Our resident Canadian goose has a secret. 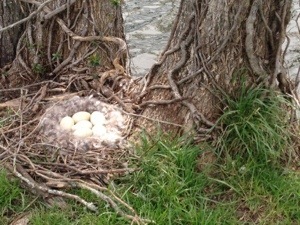 She has six eggs in a nest next to three trees by the pond. 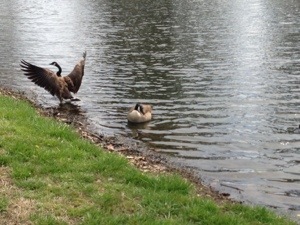 We call her Goosey and the male Gander. 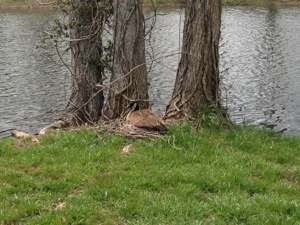 They visit us each spring for about eight weeks. She let me get within just a few feet of her baby eggs.